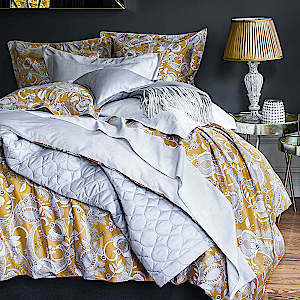 Alexandre Turpault Mogador Bedding - Swatches may be available. 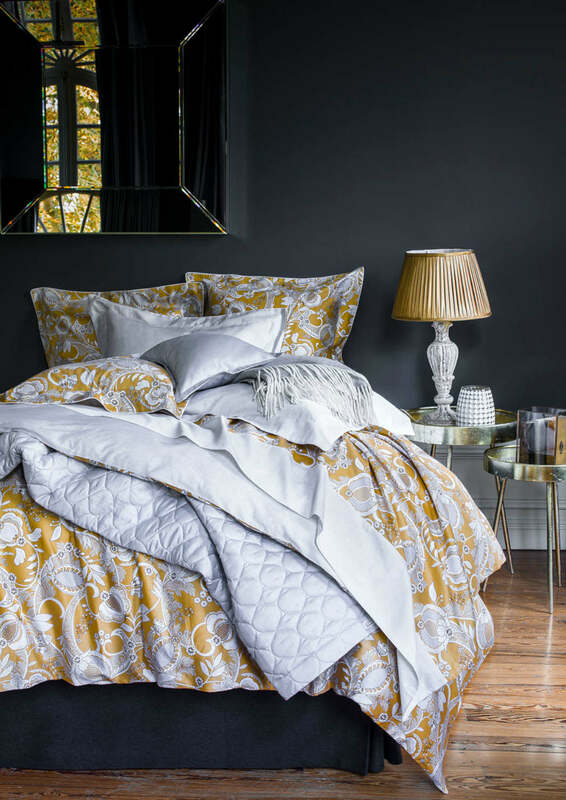 The bed linen MOGADOR is inspired by an old motif called "A Persia" reworked in a contemporary way. 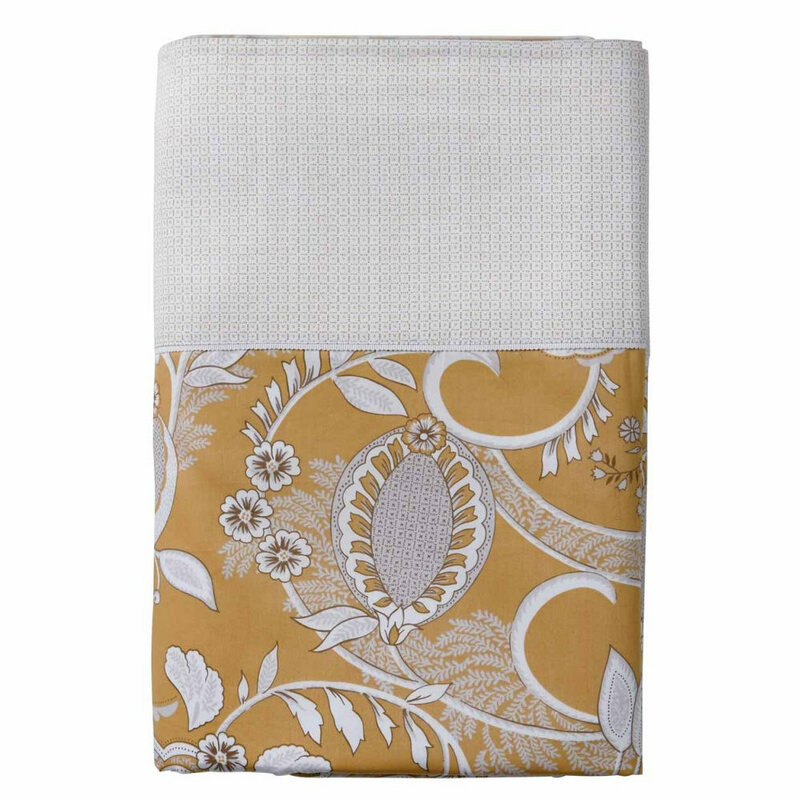 On a yellow ocher against a background of great density, micro geometric patterns provide the link between the large stylized motifs of flowers and fruits. 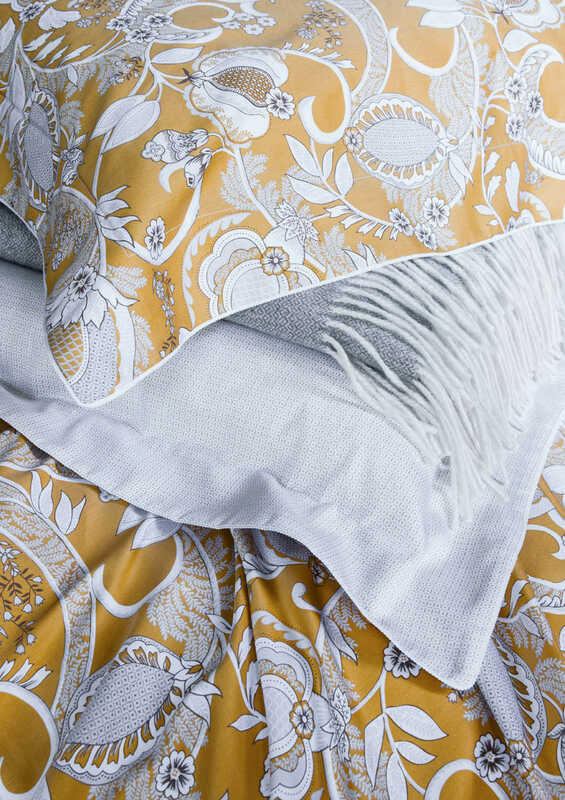 The same micro pattern on a white background returns to the back for a light and bright counterpoint. 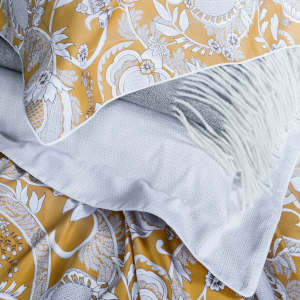 The white grosgrain finish on the pillowcases and the sheets, concludes the whole of a clean and precise touch. 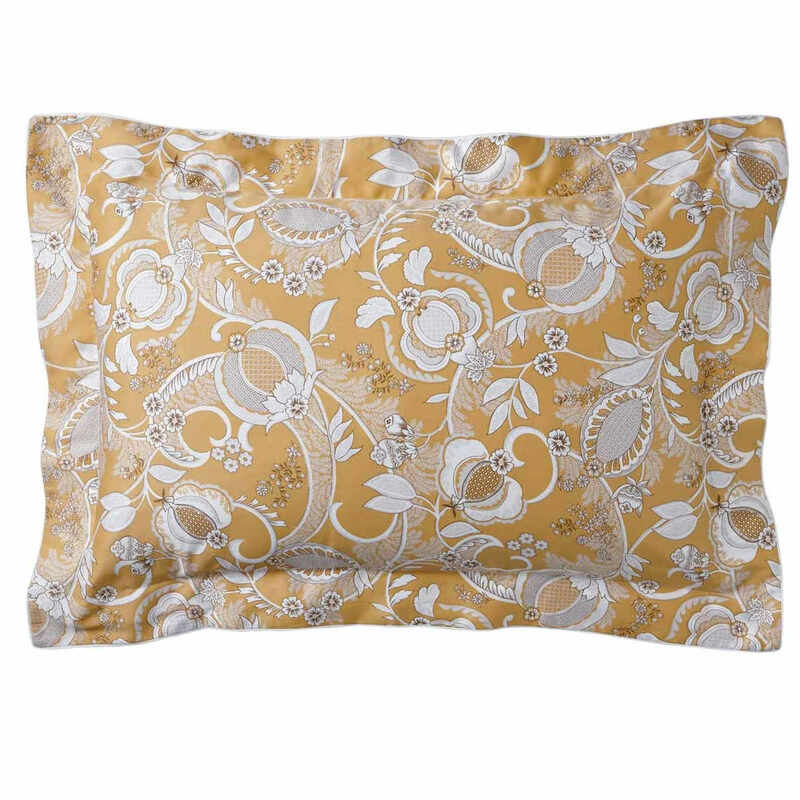 100% Cotton - Printed cotton sateen 305 TC/inch. Made in Italy. Alexandre Turpault products are Special Order items and therefore, not eligible for returns or exchanges. Requires $750.00 minimum order. A $50.00 surcharge will be added to all under minimum orders. Cancellation of orders can only be accepted if done prior to production. A 60% deposit is required and will be processed within 1-2 days of submitting the order. The balance is billed when the order ships. Ships in approximately 4 weeks. To ensure that you will be happy with your purchase, we highly recommend taking advantage of our fully refundable sample program prior to placing an order. Perse printed body, reversing to the coordinated micro pattern. 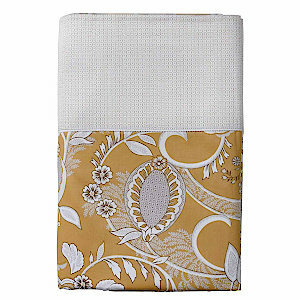 Perse printed body, 6" coordinated border, with Gros grain ribbon. Perse print in front reversing to micro pattern. 2.75" flange, with gros grain ribbon piping, double flap. Sold as a pair. 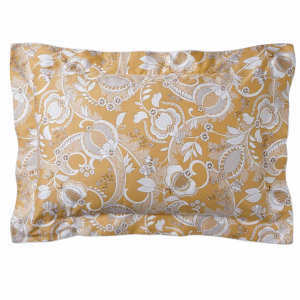 Solid fabric pillowcase.